We are conveniently located within walking distance to the beach. 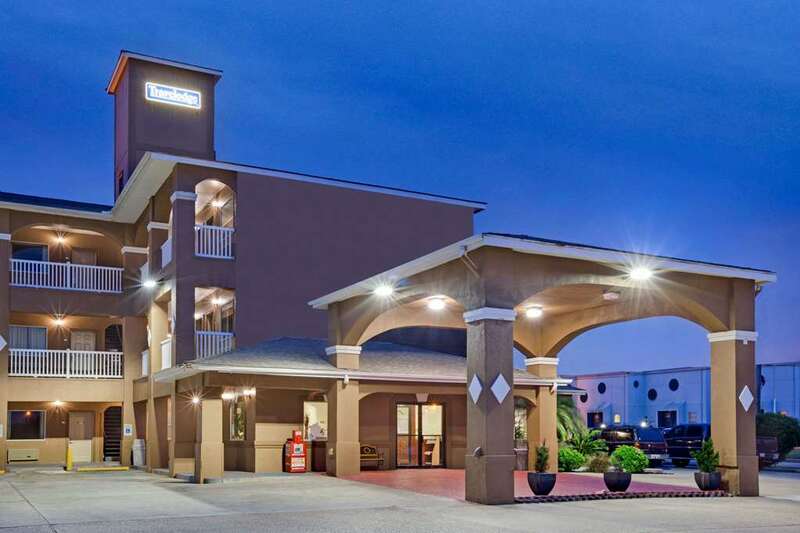 Bask in the sun and play at the beach while enjoying southern hospitality at the Travelodge hotel on Galveston Island. Be sure to ask about free cruise parking and take an inexpensive taxi ride to the cruise ship terminal at the Port of Galveston, less than three miles. Great restaurants nearby. Our hotel features king and double queen rooms, all with microwaves, mini-refrigerators, and large 27in TVs with cable and free HBO, an outdoor swimming pool, free grab and go breakfast, and high-speed internet access. No Pets allowed. Free Cruise ship parking available. Conveniently located close to UTMB Hospital.